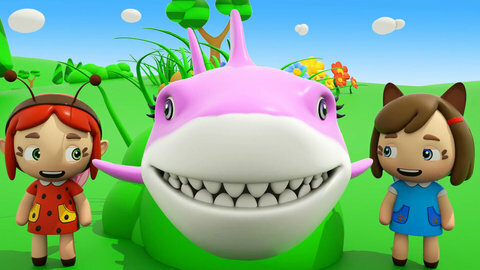 Teach your child to dance and sing the popular baby song entitled Baby Shark by letting them watch this music cartoon for kids. The Shark family visits the little fairies and has a fun game of hunting with them in this cartoon episode. Watch your kids sing happily to this song as they watch the little fairies dance. Teach your kids more nursery rhymes and songs by heading over to SeeZisKids.com.